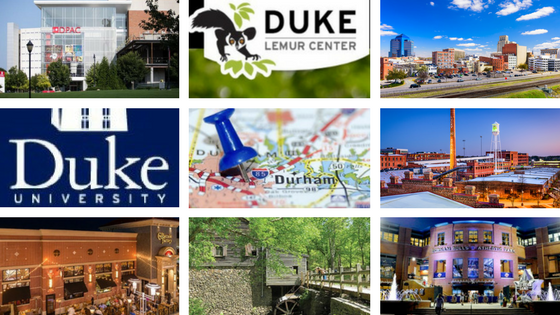 Do you know that TripAdvisor listed the top 12 things to do in Durham, North Carolina? Morehead Manor Bed and Breakfast features at least one fascinating fact about each of these 12 places. 1) Sarah P. Duke Gardens: Do you know that the garden grounds are open 365 days per year from 8 am to dusk? 2) Durham Performing Arts Center (DPAC): Do you know that DPAC hosts over 200 performances each year including Broadway theater productions, high-profile concerts, and the American Dance Festival? 3) Museum of Life + Science: Do you know that this museum covers 84 acres, includes a 2-story interactive science center, and one of the largest butterfly houses on the East coast? 4) Duke University Chapel: Do you know that every Sunday (around 12:45 pm following the service) 30-45-minute guided tours are available to the public? 5) Durham Bulls Athletic Park: (DBAP) Do you know that this ballpark seats over 10,000 people and is home to the Durham Bulls, the Triple-A Affiliate of the Tampa Bay Rays of Major League Baseball? Or that “Wool E. Bull” (the Durham Bulls team mascot) won Mascot of the Year? Because of the movie starring Kevin Costner and Susan Sarandon, the Durham Bulls are the most famous minor league baseball team. 6) Duke University: Do you know that the Duke University campus is only a 20-minute drive from the Raleigh-Durham International Airport? Duke University is ranked #12 in the Best Colleges in America list. Duke is also ranked as the second best college in America for student athletes. 7) American Tobacco Historic District: Do you know that the American Tobacco Historic District is home to many award-winning restaurants, DPAC, DBAP, and houses the American Underground (a space for entrepreneurs, startups, innovators, and investors)? 8) Cameron Indoor Stadium: Do you know that the Men’s Blue Devils basketball team has won almost 85% of their games at home? According to USA Today, Duke is one of the toughest road games in the USA! Sell-out crowds, top 25 rankings, and a variety of championships make this an exciting place to watch college basketball. 9) Duke Lemur Center: Do you know that the Duke Lemur Center has the world’s largest and most diverse collection of lemurs (Earth’s most threatened group of mammals) outside of their native Madagascar? They celebrated 50 years of trail-blazing lemur research and conservation. 10) Eno River State Park: Do you know this is a 4,200-acre National State Park is located in both Durham and Orange counties? The park offers nearly 30 miles of trails along a swift, shallow stream that is popular with anglers, photographers, and tourists. 11) Bennett Place Historic Site: Do you know that this was the site of the largest surrender of Confederate soldiers ending the American Civil War on April 26, 1865? Today the site is open to the public and includes a visitor center, museum, theater presentation, research library, gift shop, and the reconstruction of the Bennett Farm. 12) Streets at Southpoint: Do you know that the Streets at Southpoint includes over 150 shops and many distinctive restaurants? This shopping and dining destination is distinguished by award-winning design and a wide selection of retailers. Looking for a place to stay while you visit Durham, North Carolina? 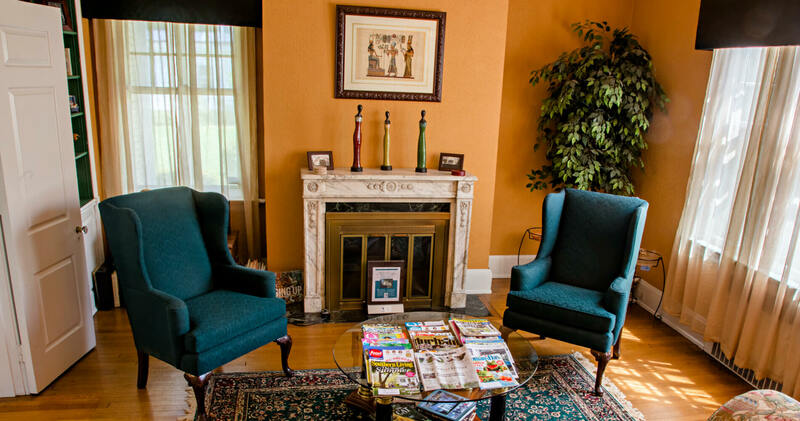 Look no further than Morehead Manor Bed and Breakfast in the heart of the Bull City. Do you know that we are within walking distance to both the Durham Bulls Athletic Park and to the Durham Performing Arts Center? We look forward to hosting you and your loved ones the next time you’re in Durham. This entry was posted in Durham and tagged American Tobacco, Bennett Place, Cameron, DPAC, Duke Gardens, Duke Lemur Center, Duke University, Durham, Durham Bulls, Eno River, Museum of Life and Science, Streets at Southpoint by admin. Bookmark the permalink. Bull City which is actually few walks away from those tourists spots.